Our department has teaching and research activities. 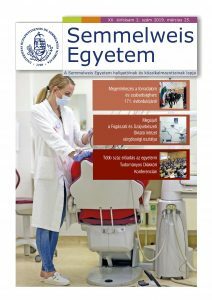 We organize basic and clinical pharmacology and other courses for 4th year medical and dental students and for postgraduates in Hungarian, English and German. Our internationally recognized research focuses on various fields including cardiovascular, behavioural, gastrointestinal and auditory pharmacology in basic science-, translational-, and clinical studies. Pharmacological development of deprenyl, which is now marketed in more than 60 countries, was performed in our department. Postal address: 1085 Budapest, Üllői st. 26.; 1428 Budapest, Pf. 2. A megtekintéshez Adobe Reader szükséges. H - 1085 Budapest, Üllői út 26.